Bath design involves challenging space planning. No corner is left unconsidered as we navigate precious space for both open luxury, organized storage, and essential function. The PK design team takes the opportunity to dive deep into the intricate details of each dimension, material and finish. The focus is to elevate the overall appearance by offering fluidity and tranquility. 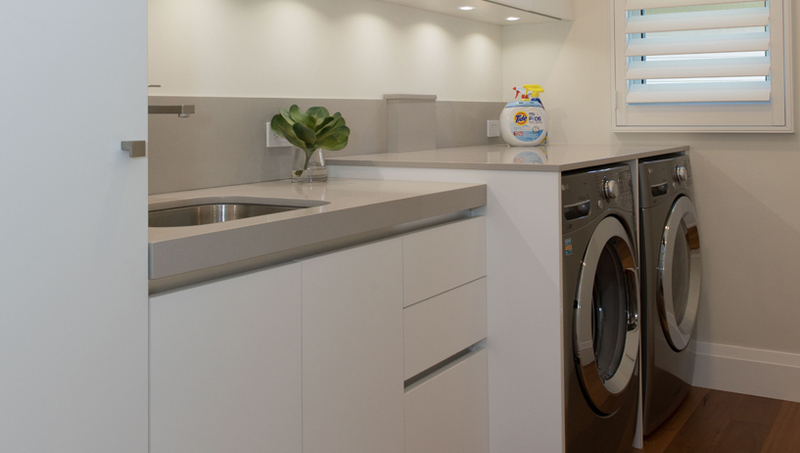 Exceptional laundry room design calls for a capacious storehouse of organization as well as spacious counters. Space planning may be key but the single most important part infuses light and bright design detail to promote the whistle in work.